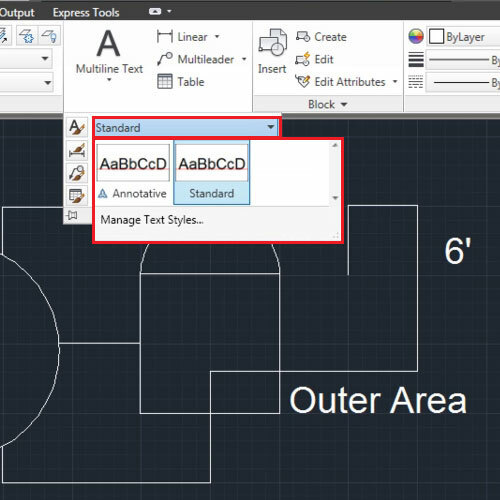 In this Autocad tutorial you will be explained as to how to edit already existing text in your workspace. 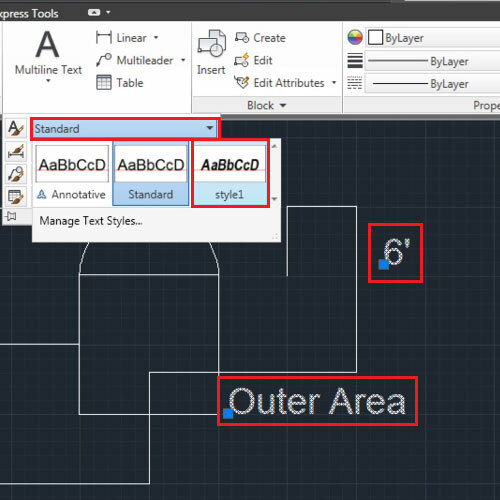 Once text has been entered, then like other features of Autocad, it can also be edited. 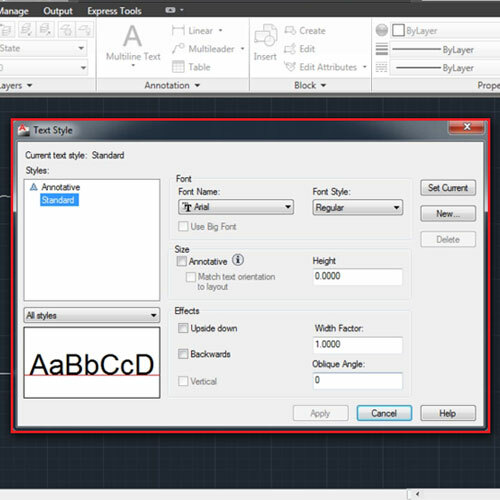 In the steps below you will learn how to edit the default styles and create your own text styles in this software. 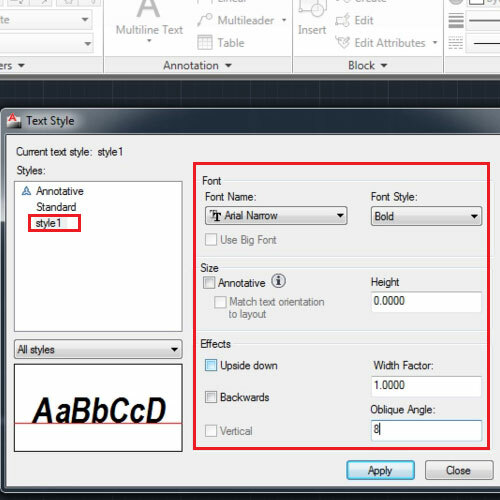 To further on customize a setting, click on the “text style” option. Here you are provided with different settings that you can alter. For your convenience, you can create a new style that can be used in all of your further drawings. For this simply click the “new” button on the left hand side and enter the name that you wish to give to it. For now we will let it stay as “style1″. Now, alter the settings according to your requirement. Change the font and its style as per your wish. The height can also be specified from here. Below are the “effects” which provide you with various options. You can enter the distance in between the letters, the angle of the letters and can state whether you want them upside down or backwards. Once you have customized your settings, click “apply” to save them in the current style. 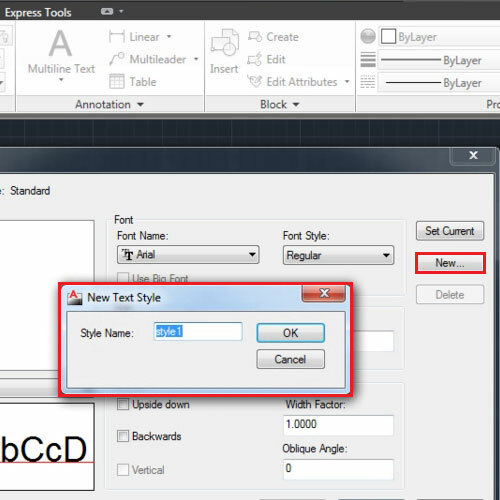 Select whichever style you want and press the “close” option to use it in your drawing. 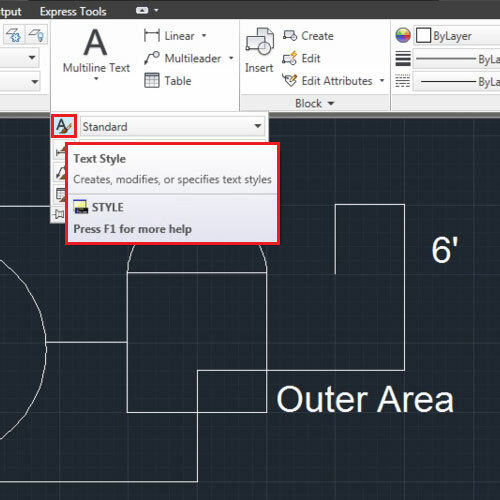 As shown in this Autocad tutorial, you can always change the style and apply another one by opening this menu again, selecting the style you need and clicking on the “set current” option. Close it to apply. 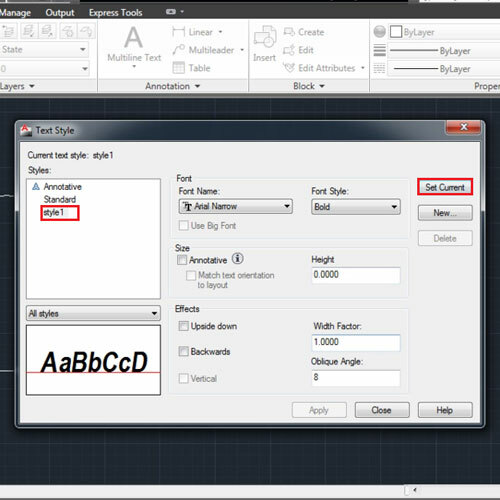 However, to edit text in Autocad that is already present in your drawing, you have to first select the text. Then go to the drop down menu of the “annotation” panel and from the drop down menu of “text style” select the one you wish to apply.